Crowborough Tennis and Squash club is open to the public. 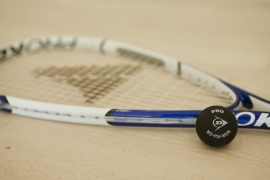 Non members are welcome to Pay and Play Squash 7 days a week and may only book courts on the day. All equipment is available to borrow from the bar. Please ensure you wear the correct non marking indoor shoes on court. Indoor shoes should NOT be worn outside. Sports clothing should be worn on court at all times. All non members should sign in at reception and pay the appropriate fee before going on court. Full changing facilities and showers are available and players are welcome to use the Members Bar. NB On Friday evening after 6.30pm there is only one court available to book due to Members Club Night. We look forward to seeing you on court! Call us on 01892 652618 for availability.